After finishing high school in London, and completing a year at the University of Miami, Steve-O realized that college wasn’t for him. He enrolled in Ringling Brothers and Barnum and Bailey Clown College to help further his goal of becoming a professional stuntman. After graduating Clown College, and determined to make it in Hollywood, he began to pitch his home videos to producers. 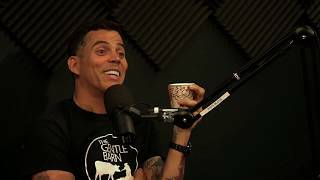 Eventually, Steve-O’s videos made it into the hands of Jeff Tremaine (Jackass Creator/Director/Producer) who was working with Johnny Knoxville to create a stunt based reality show. The rest is history. When the JACKASS TV series ended in 2002, the team moved on to JACKASS: THE MOVIE, released by Paramount in October of that year. Shortly thereafter, Steve-O and fellow JACKASS alum, Chris Pontius, were given a spin-off show entitled WILDBOYZ, which aired on MTV and MTV2 and lasted four seasons. In 2006, Paramount released JACKASS: NUMBER 2 in theatres and Steve-O continued to thrill audiences with his outrageous stunts. In 2013, Steve-O launched his YouTube channel where he has garnered almost 3 million subscribers. Adding to that his other social media platforms, Steve-O has an online following of over 13 million people, which is growing every day as he documents his continuing travels around the world. He uses the site to regularly upload new original material – mixing his stunt work with his comedy bits.